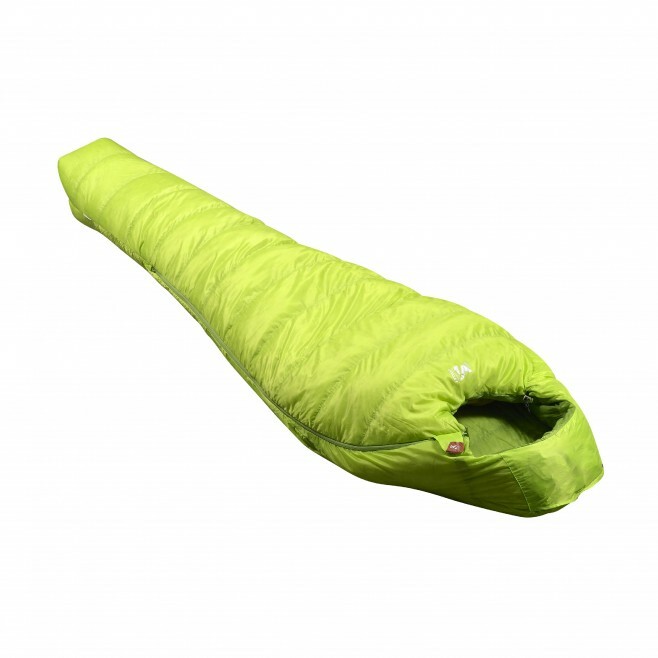 This three-season sleeping bag is designed for mountain-sports enthusiast and built to offer more thermal protection on alpine adventures. LTK Series The ALPINE LTK 800 contains 350g of duck down, whi ch is warm and comfortable thanks to its excellent warmth-to-weight ratio. The lightweight down traps the air warmed by the body, and regains its loft after being compressed. The full-length zipped opening has an anti-cold flap to block air incursion. The mummy fit is close to the body and snug, reducing the amount of air you have to heat up, thus keeping you warm more easily. The shell is in soft polyester with a water-repellent finish. Its ripstop weave is lightweight and resistant to abrasion and tearing. It thus stops down poking through, while remaining packable and easy to carry. The JET PACK SYSTEM� is a compact storage system built into the hood, to simply roll up and fasten the bag. Grappling with your bag to squeeze it into its storage sack is history. It packs as small as a water bottle, freeing up lots of space in your pack.